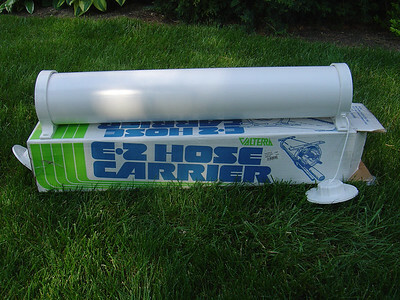 I needed an easy way to carry the hose and connections to and from the dump station. 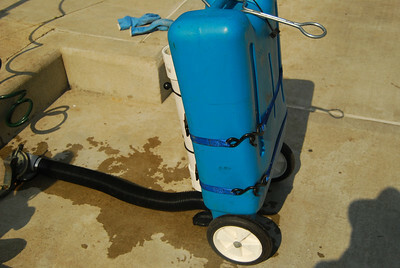 This is a commercial hose carrier. However, it was too long and since I wanted to mount it to the wastewater tank, I would have to bore hole in the tank (which I did not think was a good idea. So I decided to build my own carrier. 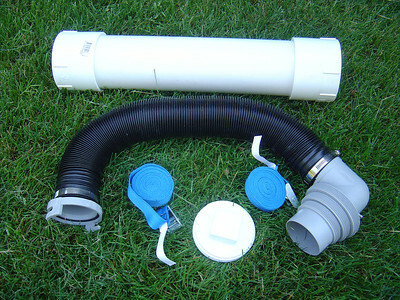 The parts - PVC pipe, two slip/thread adapters, one end cap, straps (I ended up using a ratched type strap), and sewer hose with sewer drain adapter. 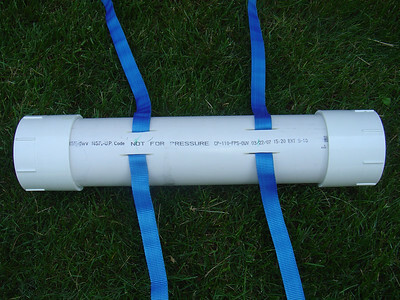 I cut four sections in the PVC pipe that threaded the straps through the slits. 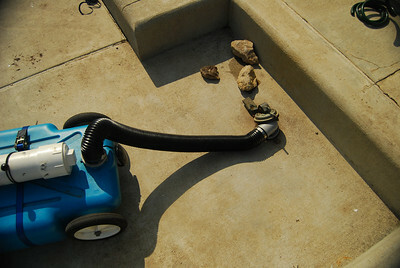 The finish tube. 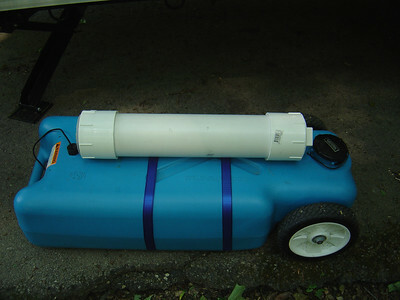 Note the sewer drain adapter screws into the end of the PVC pipe. Gray water tank on the E3 deck. 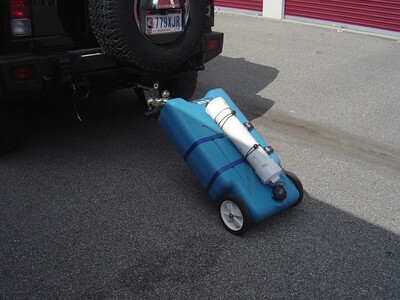 This is the blue tote attached to the ball hitch when you need to haul it to and from the dump station. 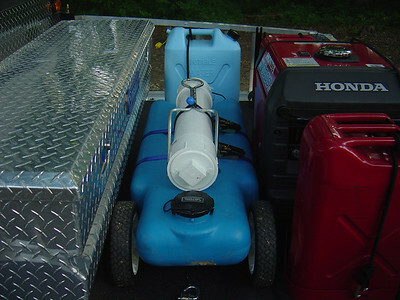 Another picture of the tote with hose storage connected to the TV. 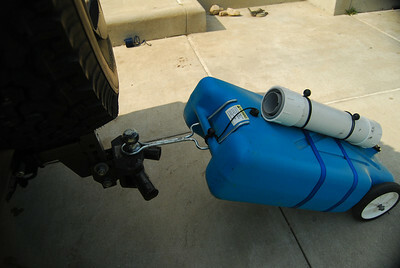 The baynet end is connected to the tote while the 90 degree end fits in the CG waste water drain. Raising the tote 90 degrees drains most of the water in the tote.